This is fast and healthy breakfast recipe for busy moms. 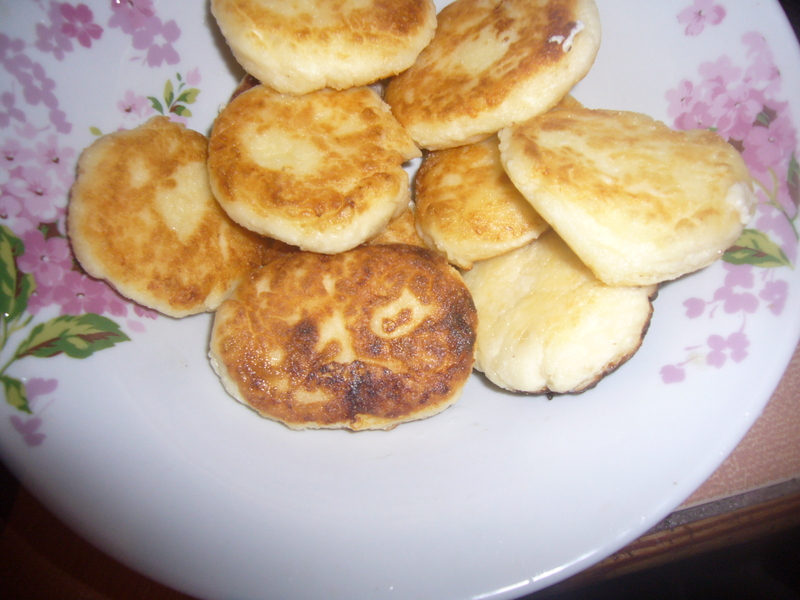 These cheese cakes or cheese pancakes taste great and are easy to make. I use soft cheese or curd to make them. Mixing takes only 3 min, especially if you have a food processor. You should mix all things together. It is easier to do in a food processor. But, you can do it using a fork in a large bowl. If you do it manually, crush banana first, then mix everything up and crush well together. Now, set a flat plate covered with flour. Take some mix, roll a ball about of flatten it between your palms to make a cake. Set both sides of this little cake into the flour and leave it on the plate. 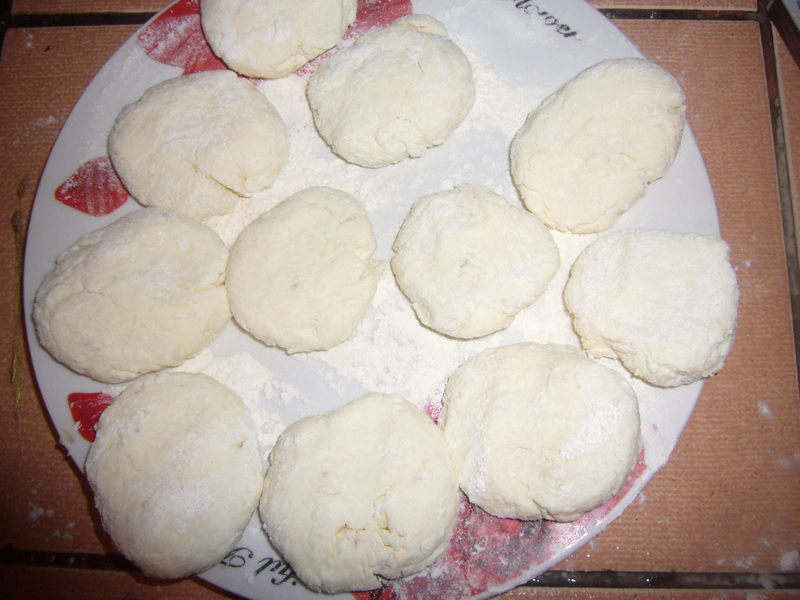 You should roll all the small cakes in this manner and set both sides of them in the flour. That’s what you get. Then you set a pan to heat and pour some plant oil in it. You fry the cheese cakes or Sirniki on the pan, untill the get golden crust. You serve them hot with some sour cream or jelly. The original recipe of sirniki or cheese cakes does not include bananas. I add it, and it tastes even better. The curd or soft cheese is a very healthy thing for a breakfast. You can get it low in fat, too. This sirniki or cheese cake recipe does not take long to make and it is delicious. All kids in Ukraine love them. This entry was posted in Easy Recipes and tagged breakfast, breakfast recipe, busy mom, busy moms, cheese, cheese cake, cheese cakes, cooking, cooking tips, easy cooking, easy recipe, flour, food, health, healthy cooking, healthy recipe, sirniki, Ukrainian food. Bookmark the permalink.